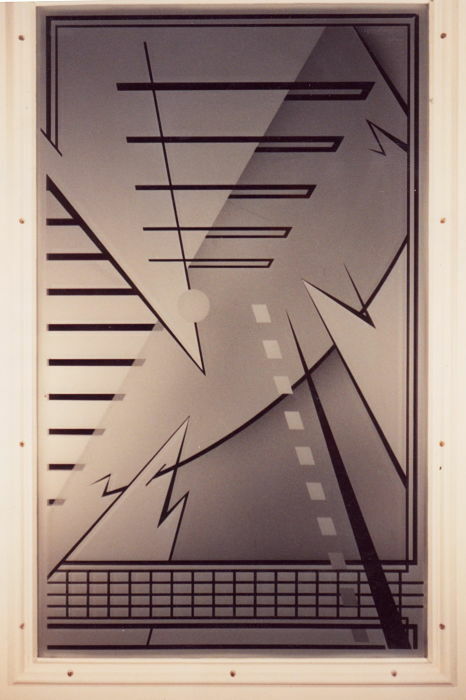 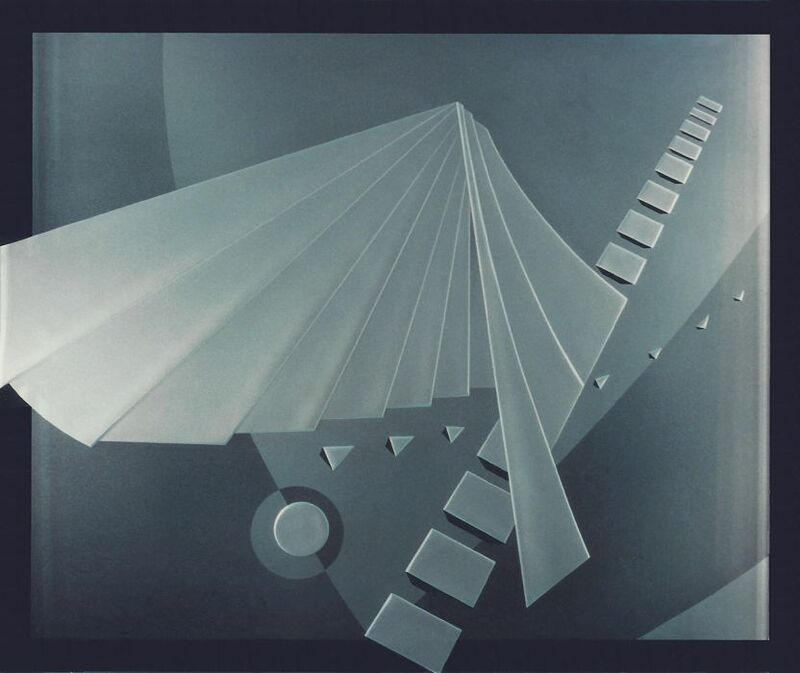 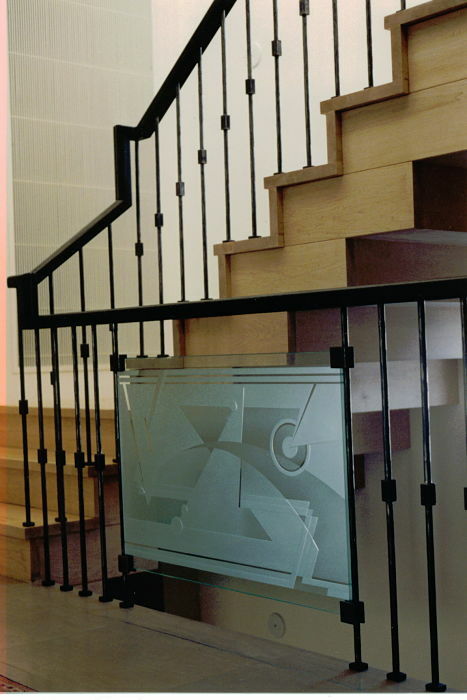 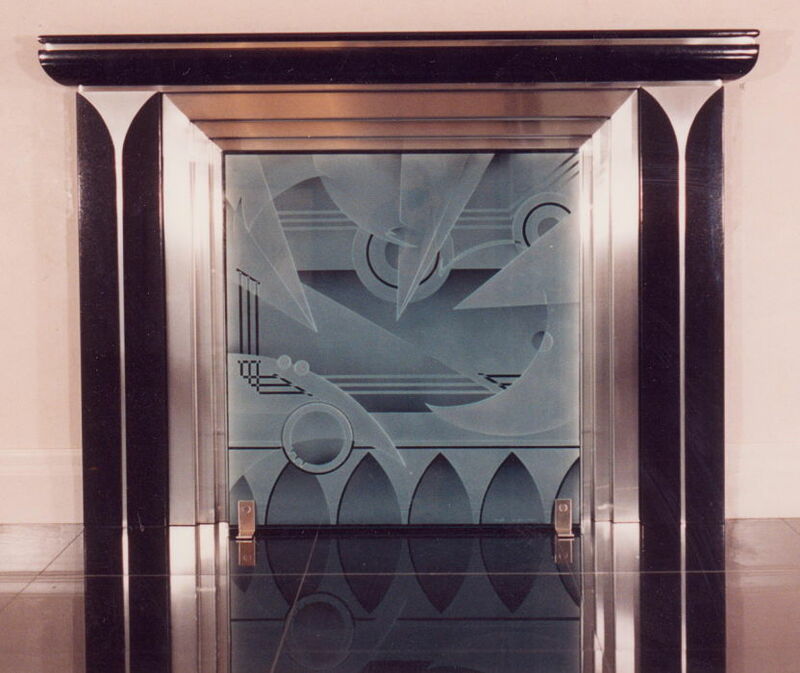 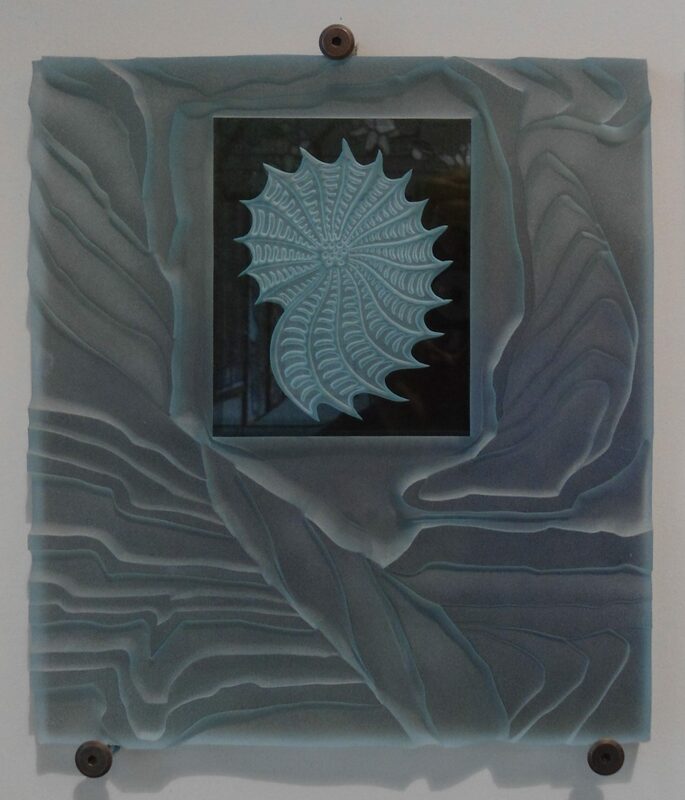 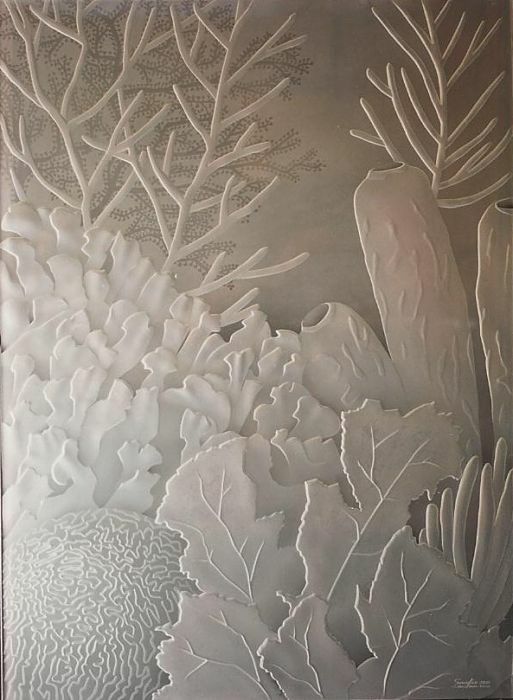 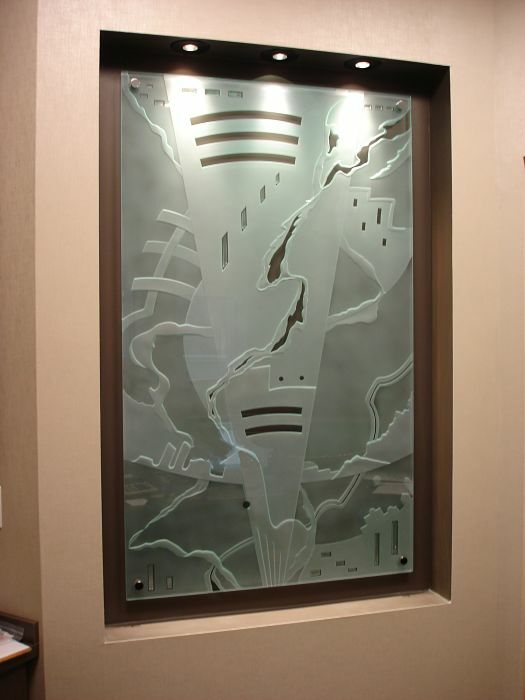 Our sandblasted work is completely produced by hand – we don’t use computers to draw, cut or carve artwork. 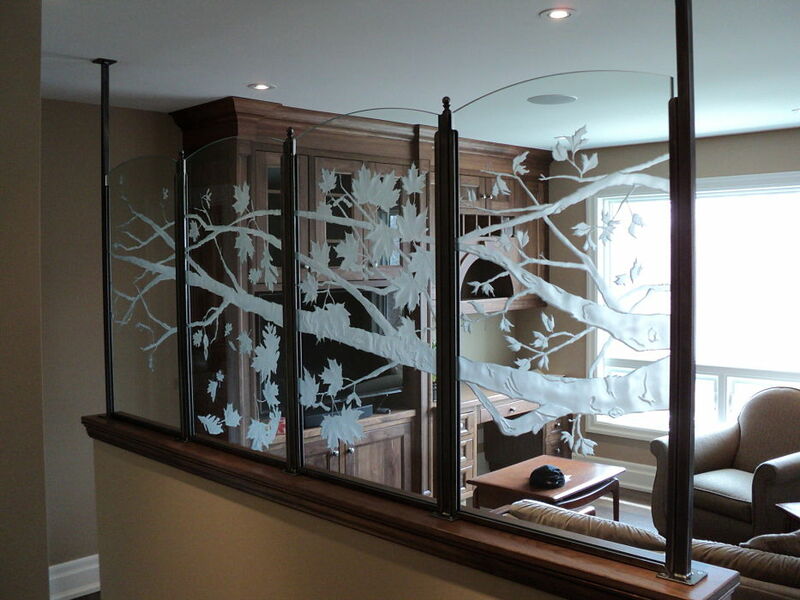 Each piece is one-of-a-kind and signed. 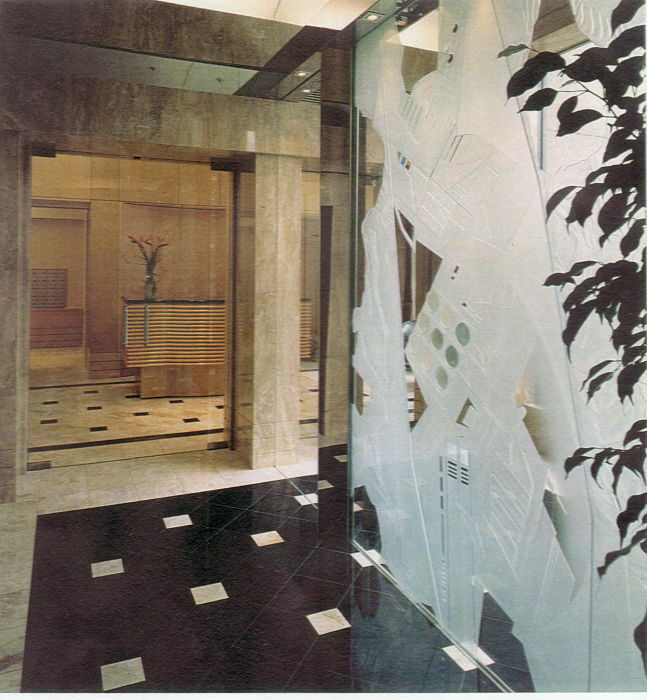 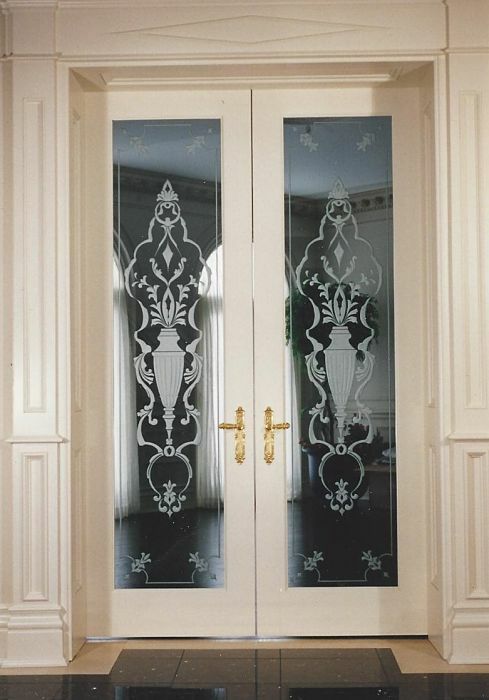 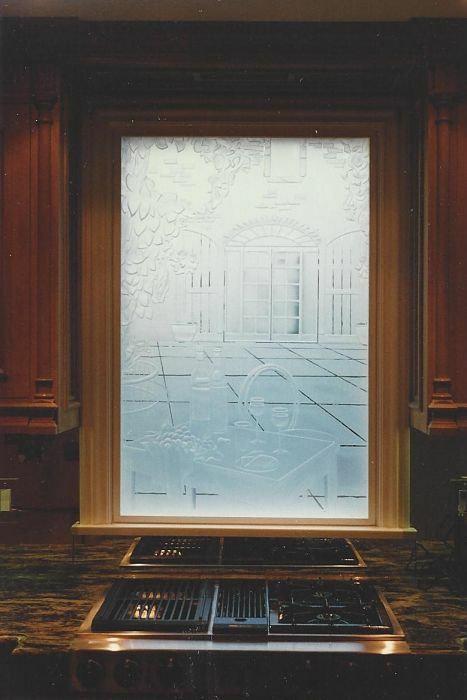 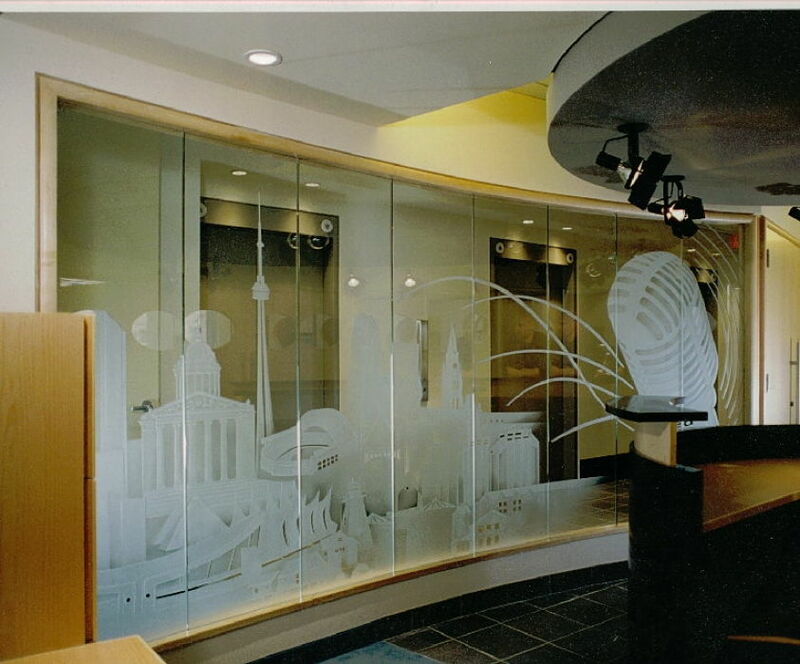 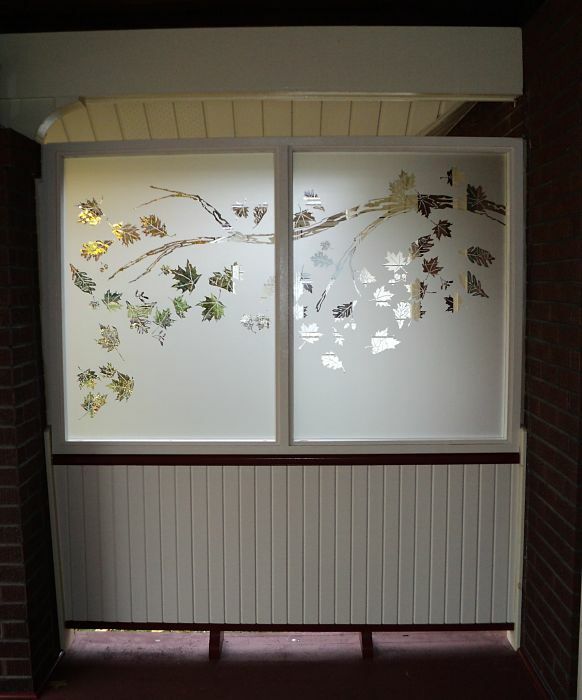 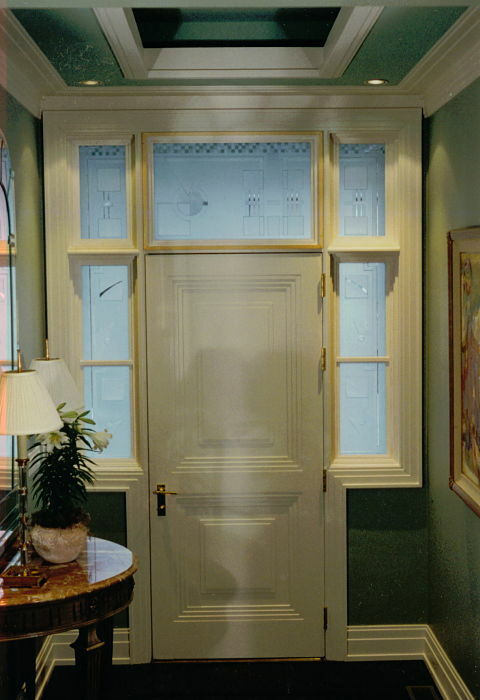 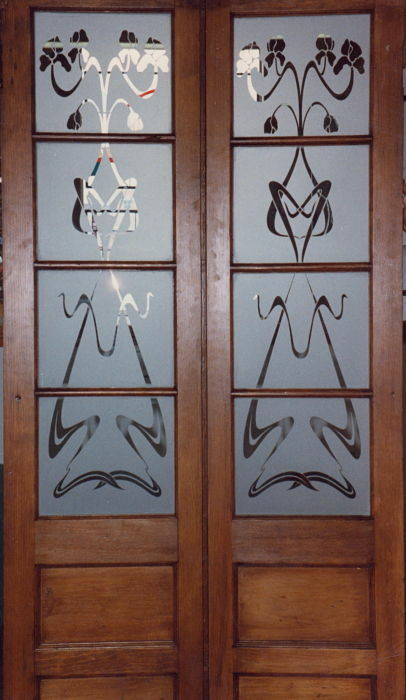 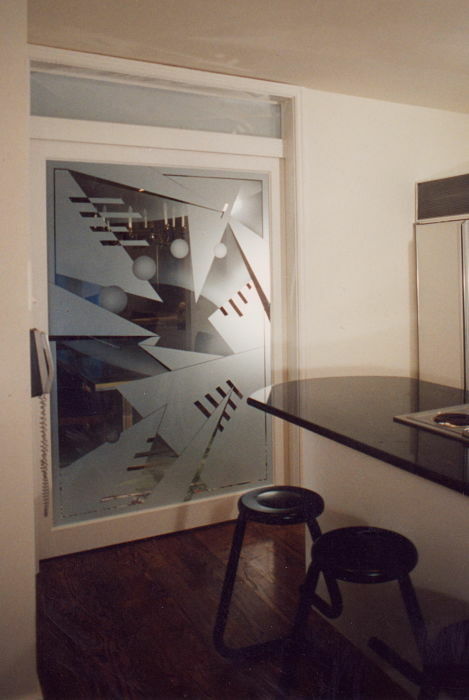 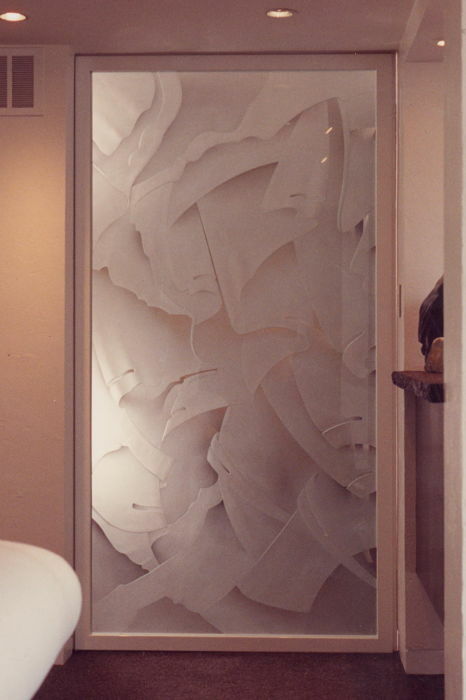 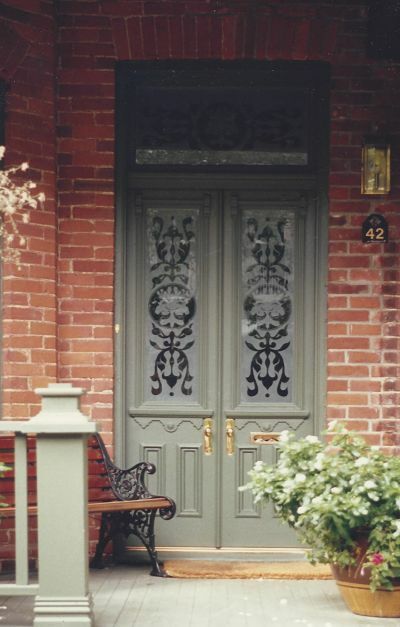 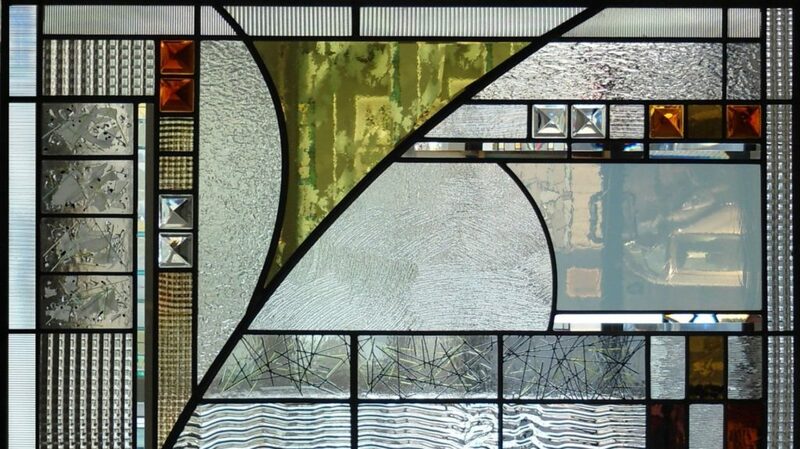 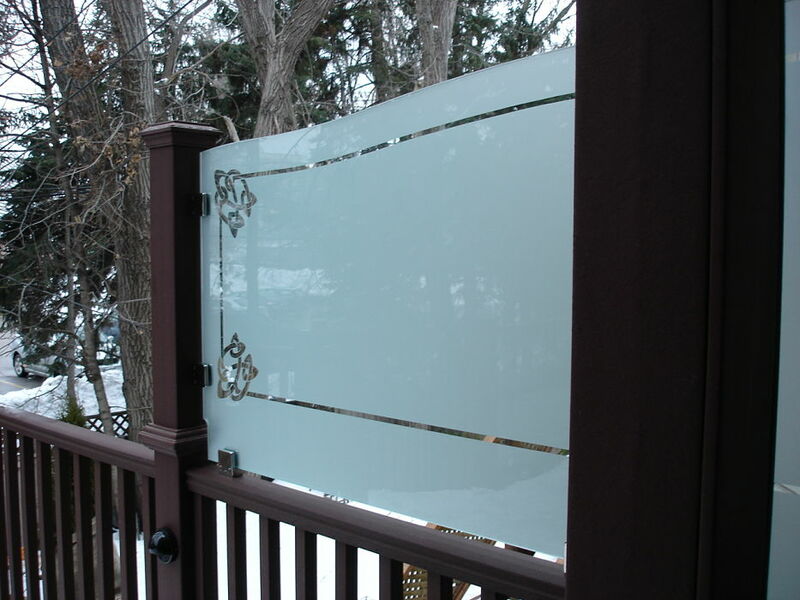 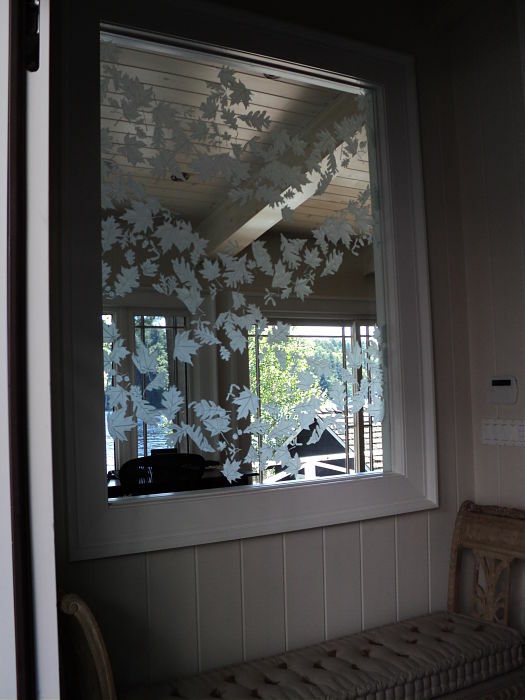 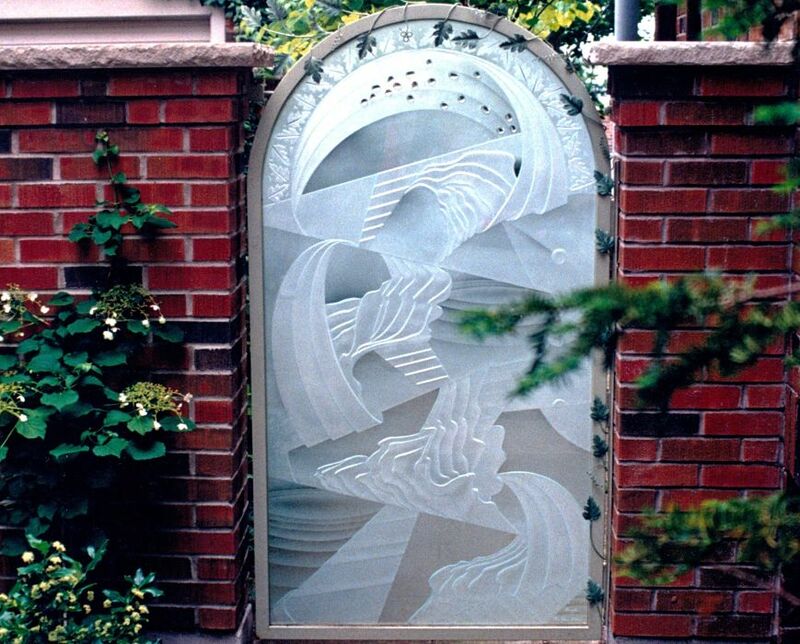 TheGlassStudio Image 73 - Etched glass door and transom panels.